With such a wide variety of things to do on the Isle of Wight during your Holiday, you’ll want to come back again and again. 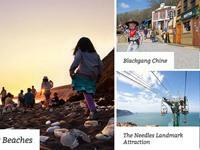 Whilst you won’t be able to fit everything into a single visit, here are some of the great Attractions, Activities and Places To Visit for you to choose from. 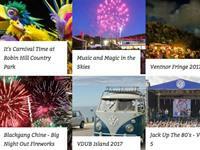 Click on the link below for more details and to search all of the events happening on the Isle of Wight! With such a broad range of exciting events and festivals taking place on the Isle of Wight each year, it's little wonder it is nicknamed the "Festival Island"! Shanklin really is the most charming of traditional seaside resorts with it’s glorious long wide sandy beach set against a backdrop of dramatic sandstone cliffs. Relax and unwind on the golden sands, hire a traditional beach hut or, for the more energetic, try the water sports on offer.